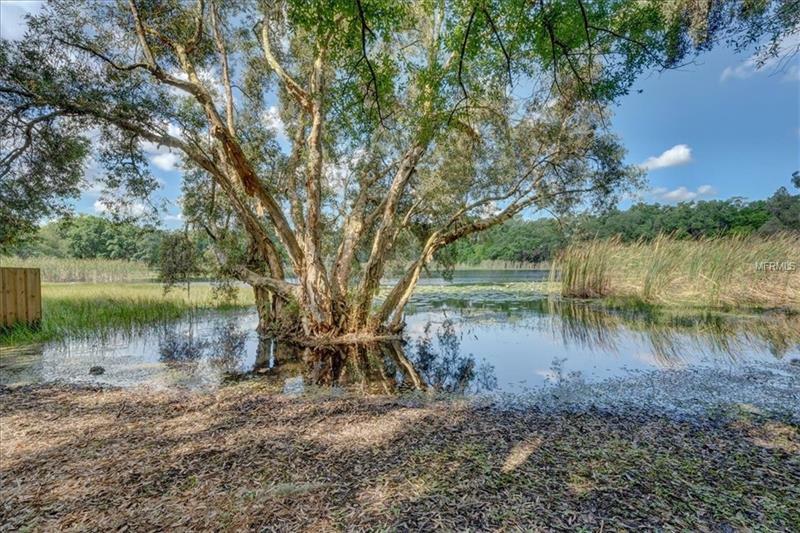 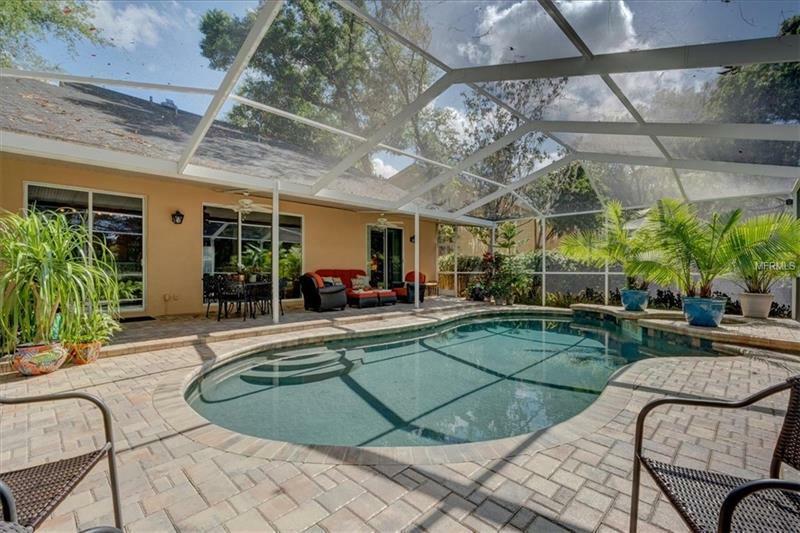 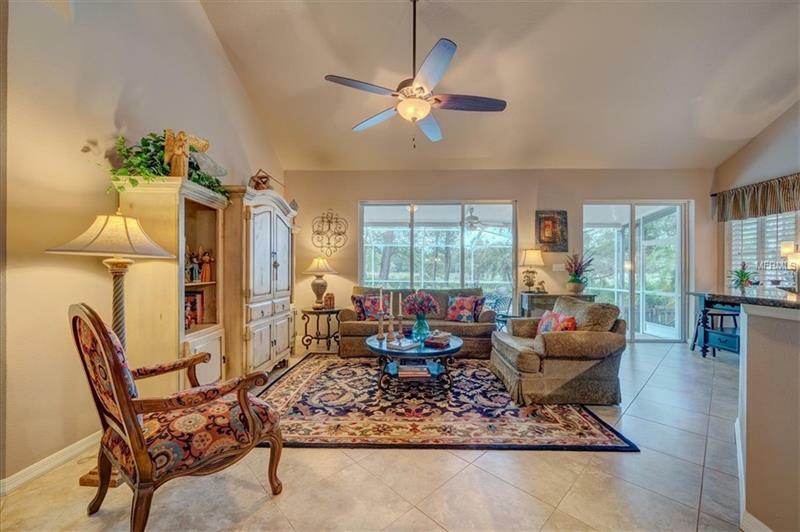 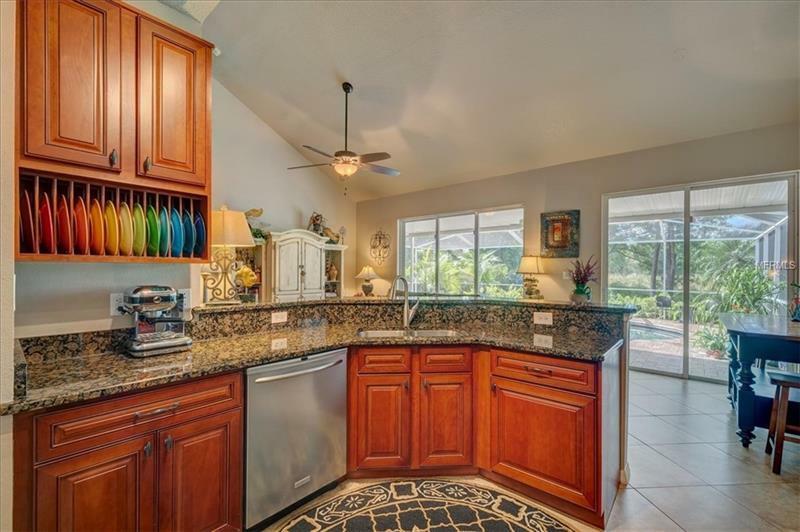 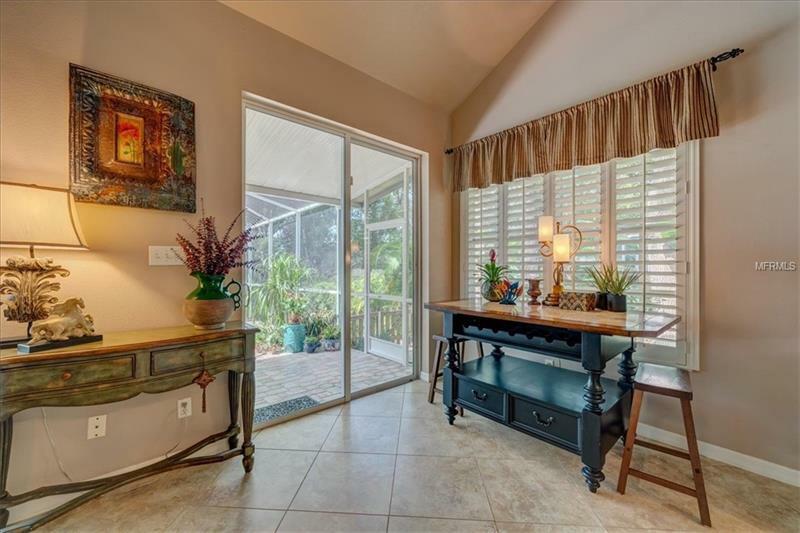 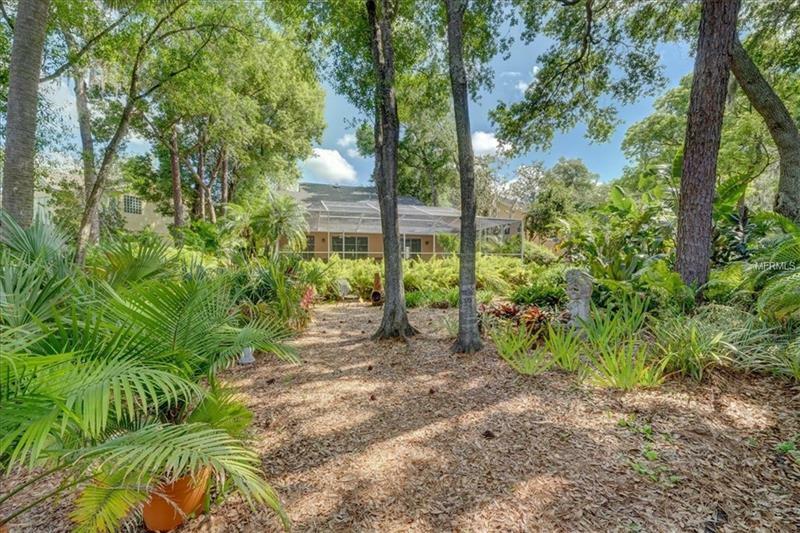 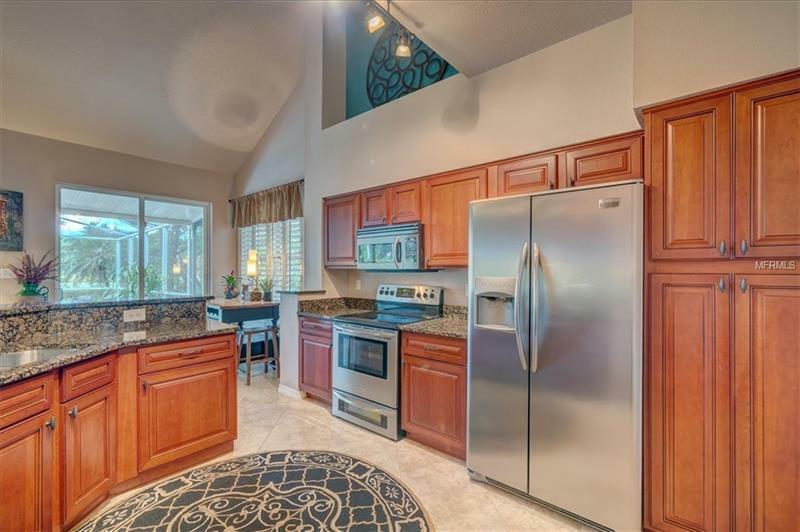 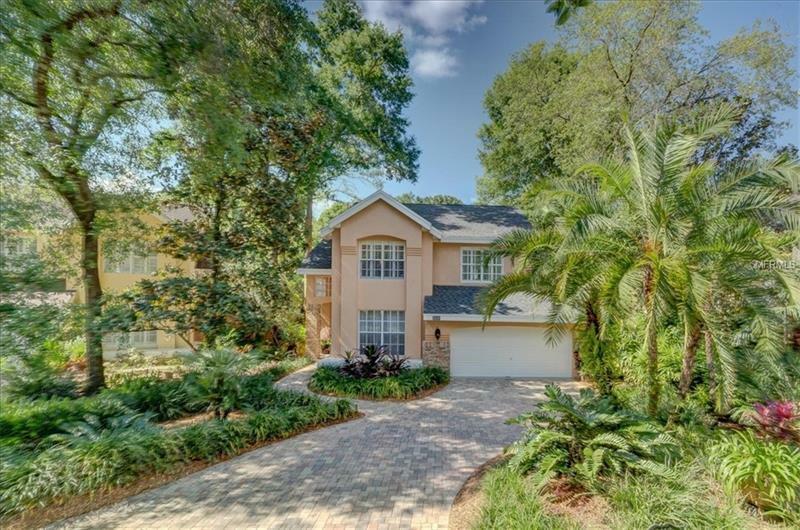 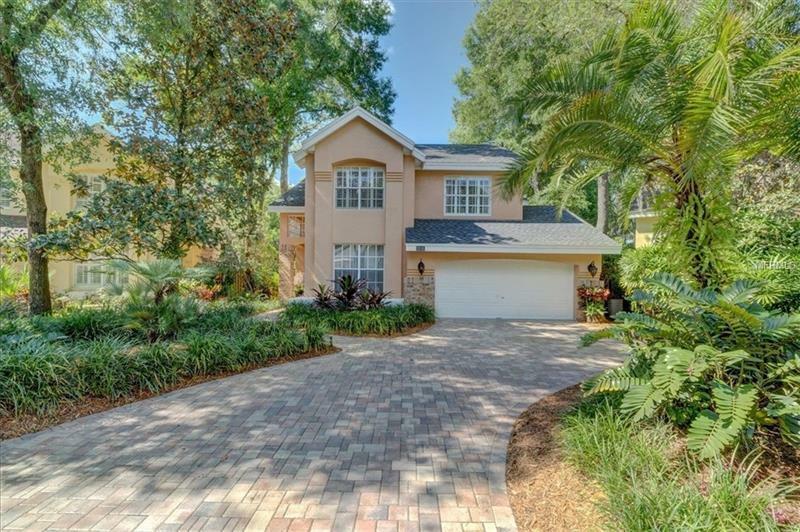 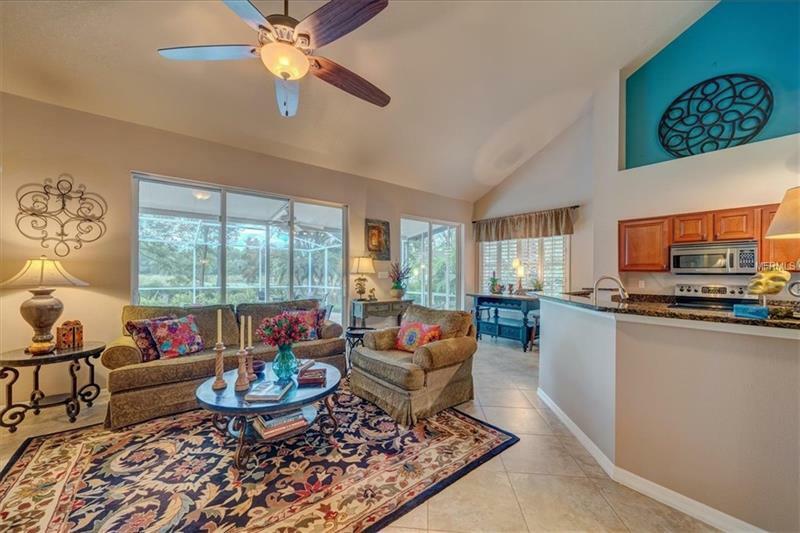 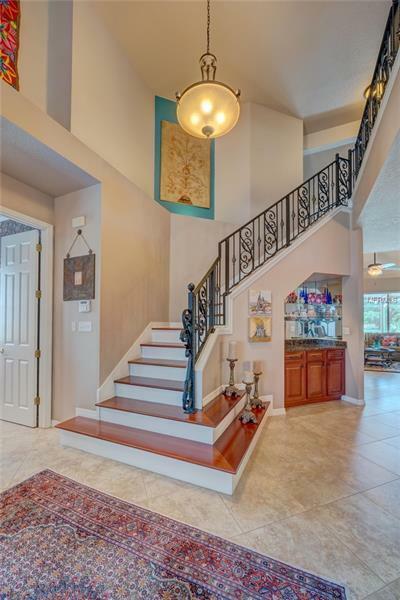 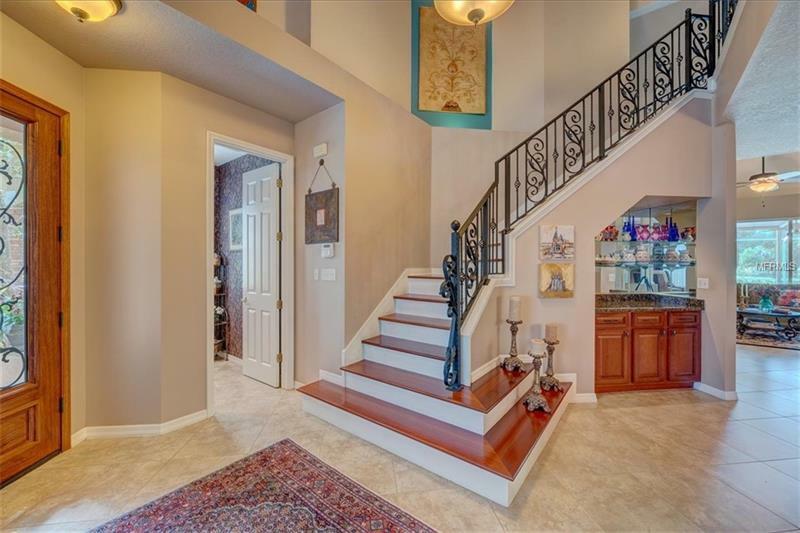 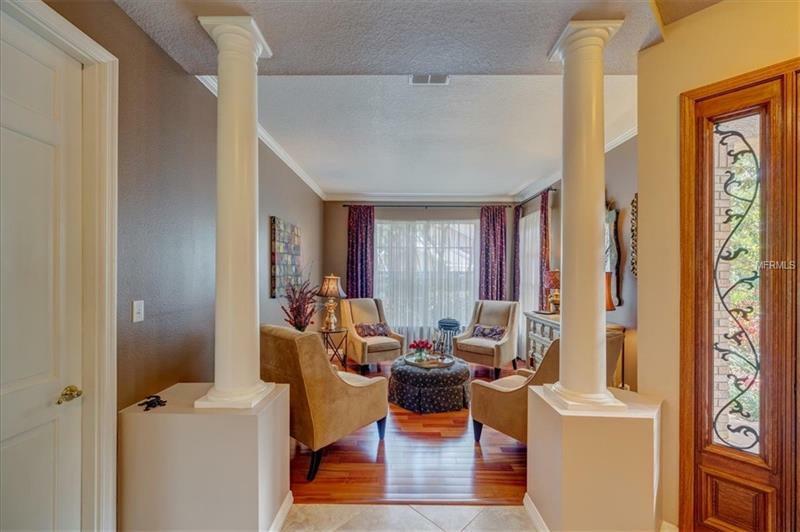 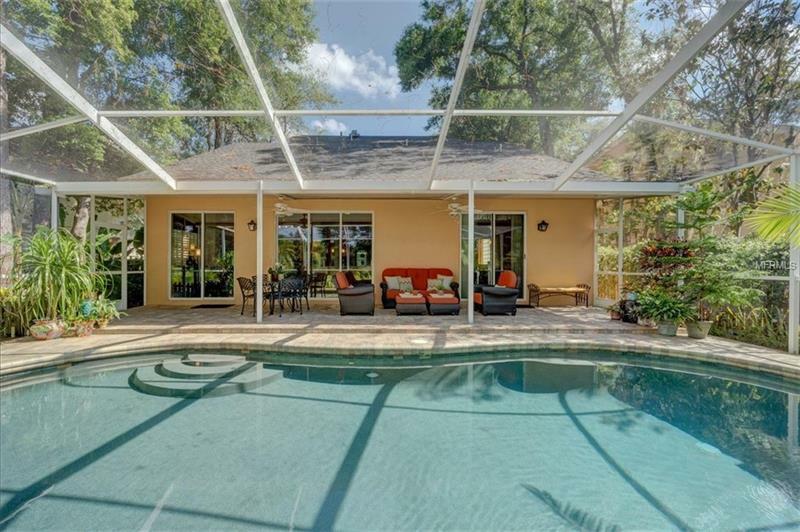 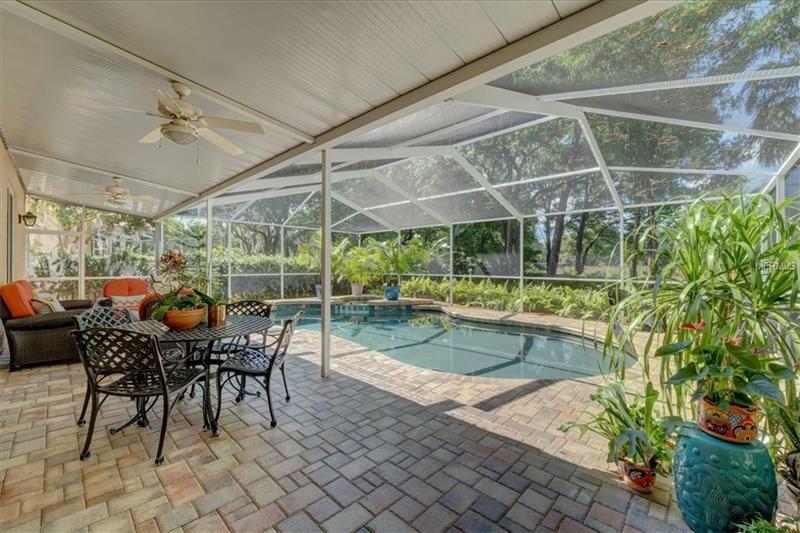 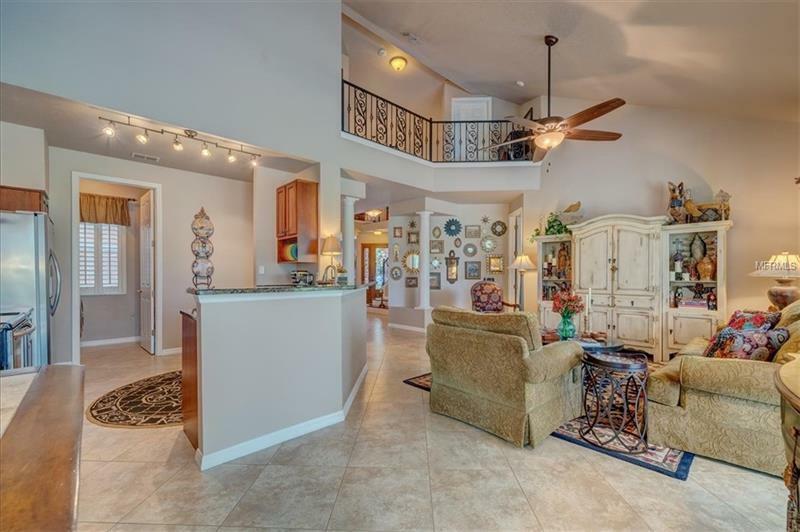 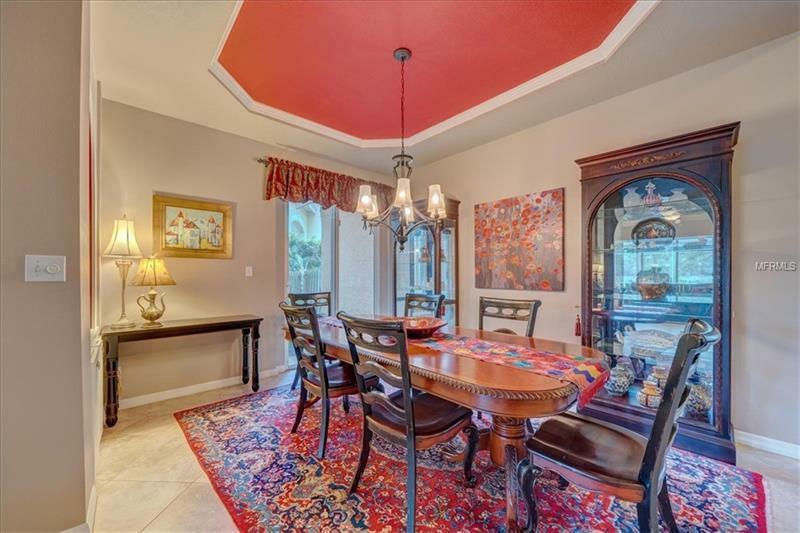 Beautifully Maintained home in the gated Carrollwood Community of Magdalene Reserve, w/ 3 bedrooms, 2.5 baths, gorgeous pool/spa and water views, w/ frontyard maintenance by the HOA! 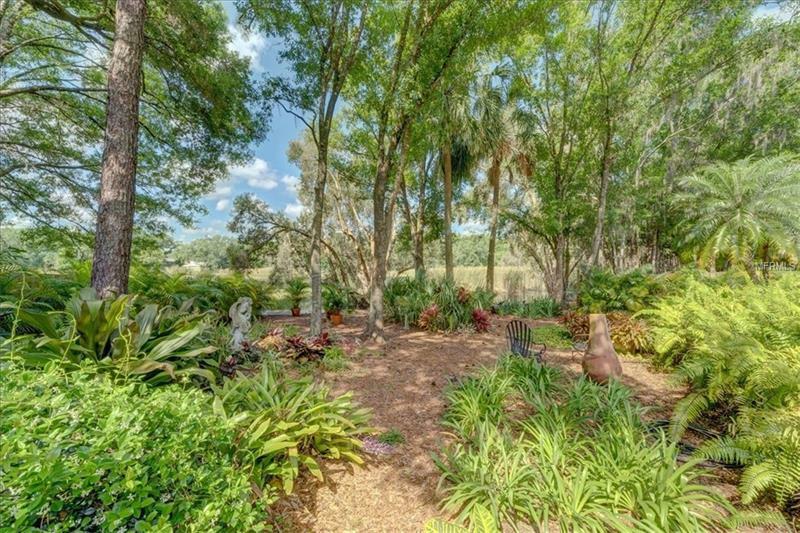 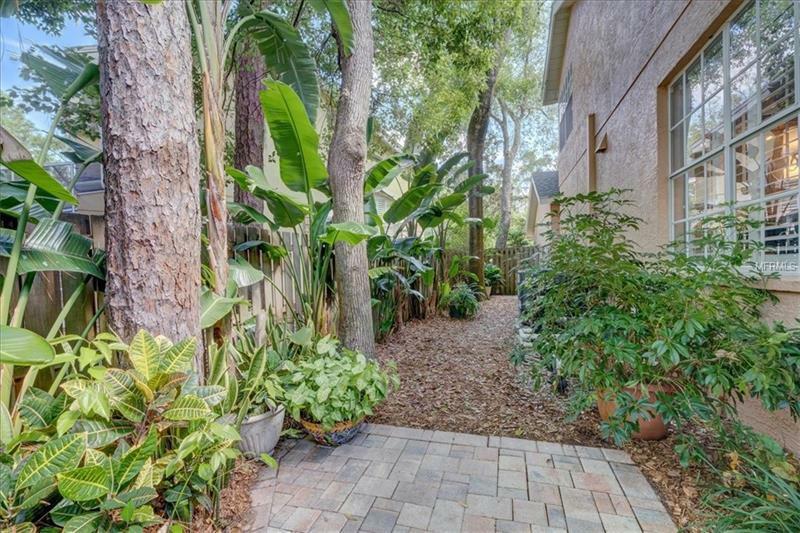 This home has many updates, including brick paver drive/walkway and lush landscaping. 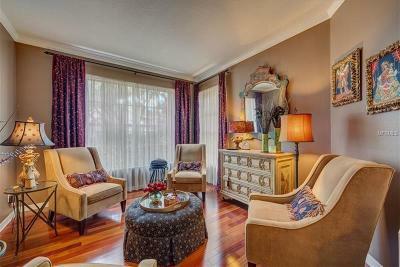 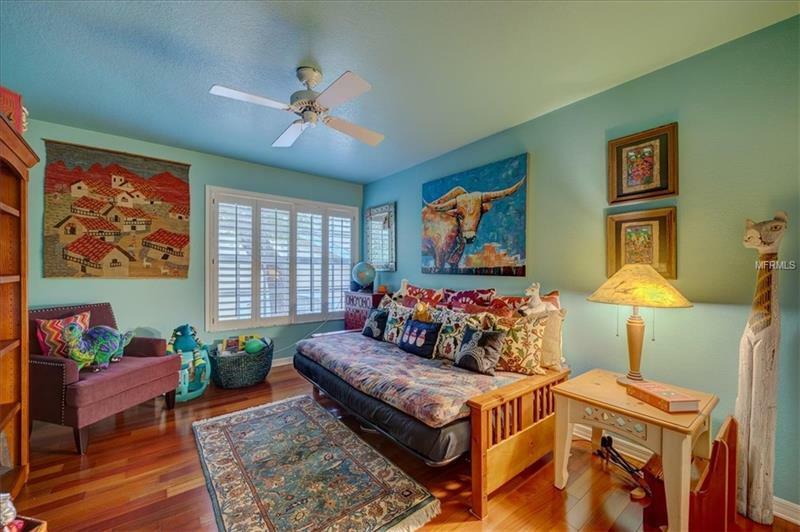 The Living room has Brazilian Cherry floors, crown molding and large windows to let in natural light. 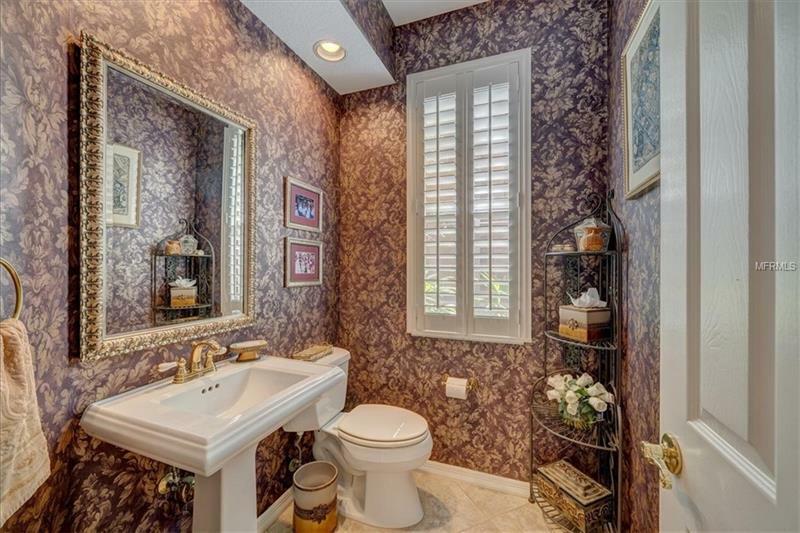 Powder room by the stairs is perfect for guests. 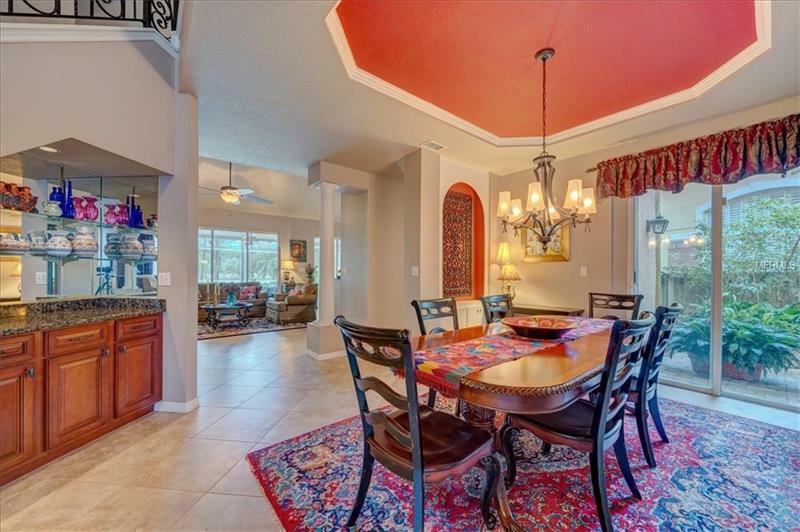 Large dining room with Porcelain Tile floors, tray ceiling, built in cabinetry and bar, and sliders to private courtyard. 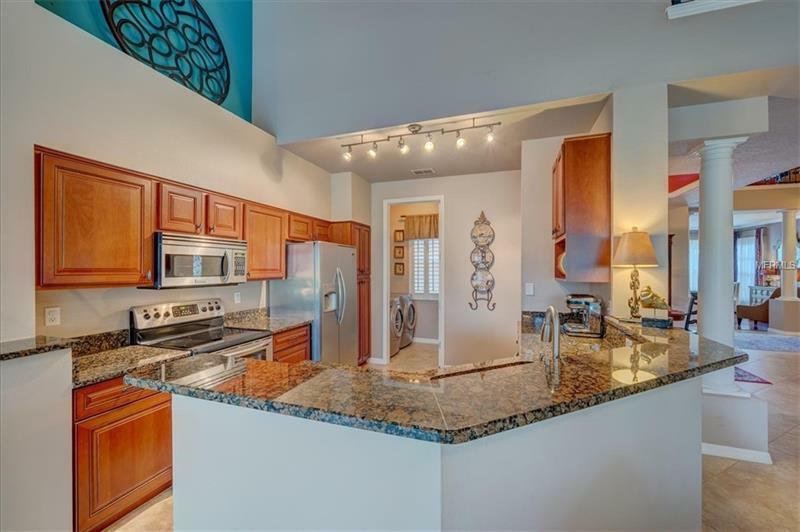 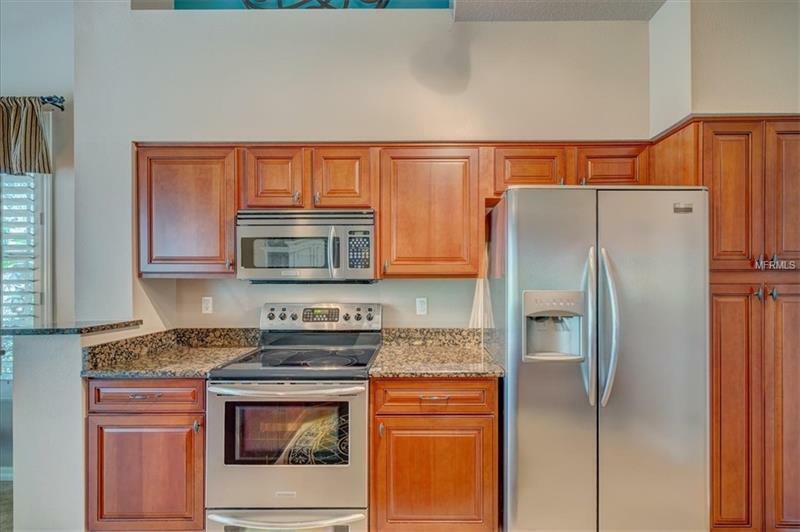 Updated Kitchen offers Cherry wood cabinets and granite countertops, Kitchen-aid Stainless Steel appliances, pull out drawers in the cabinets, and cabinet pantry, separate Dinette with pool views. 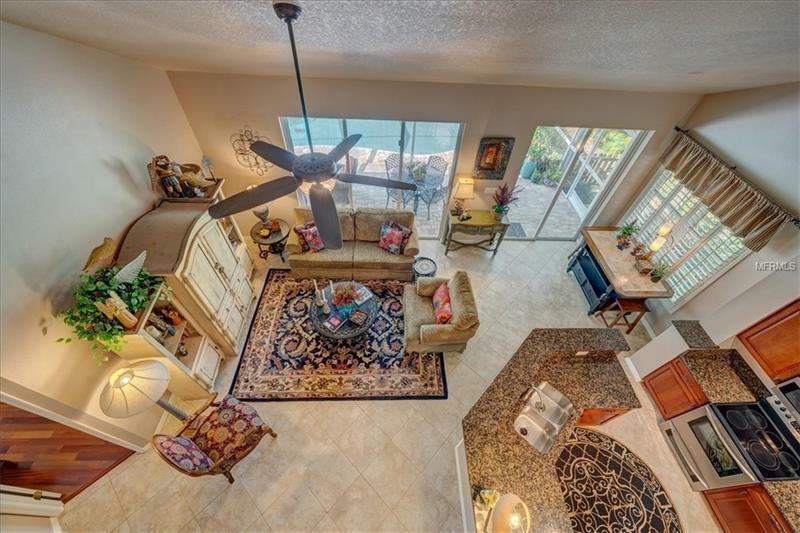 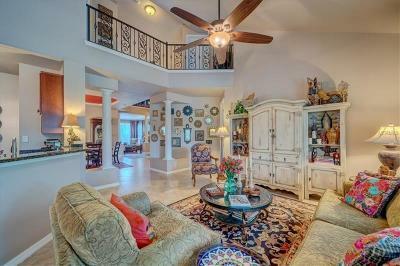 The Family room features vaulted ceiling, porcelain tile floors, double pane sliding glass doors affording more water views. 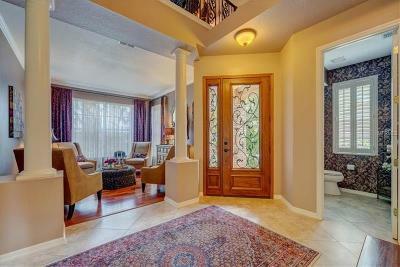 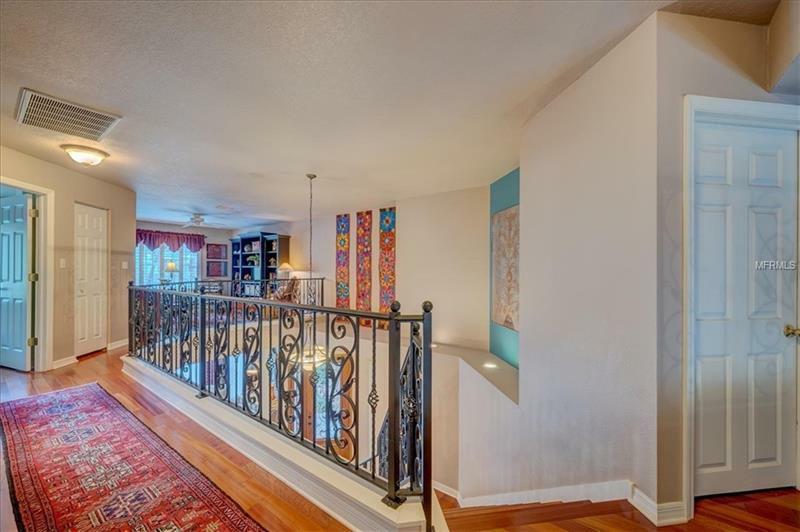 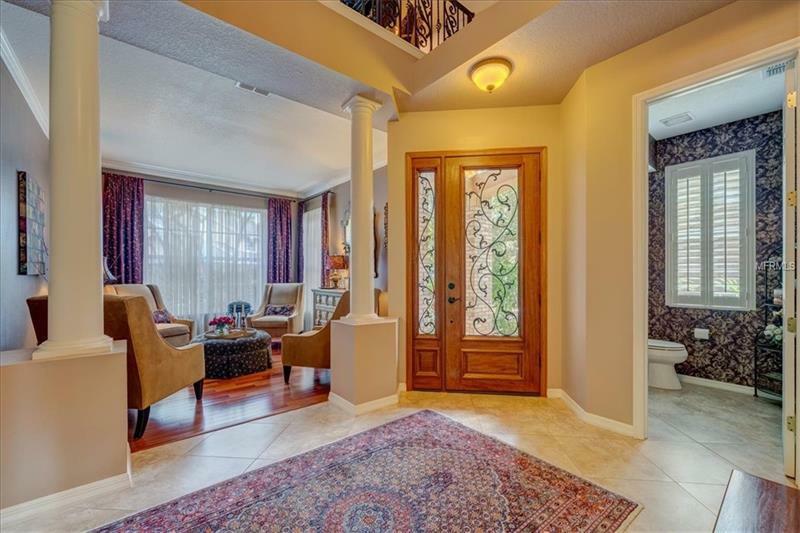 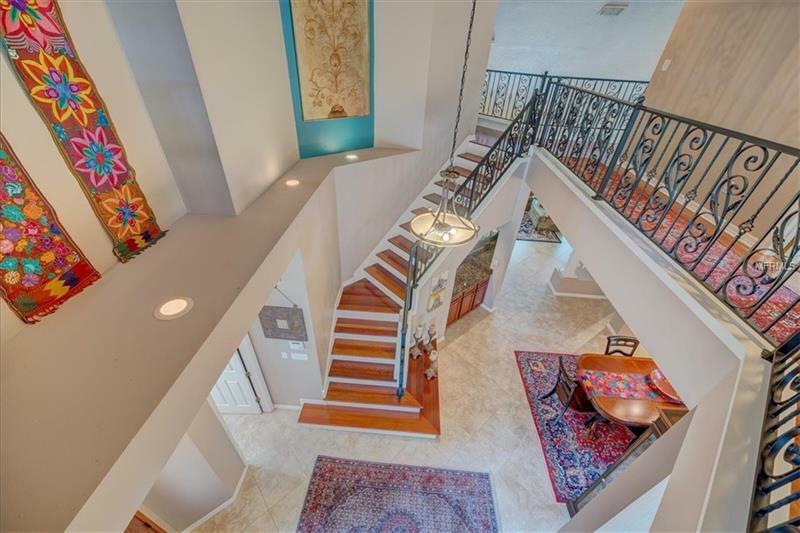 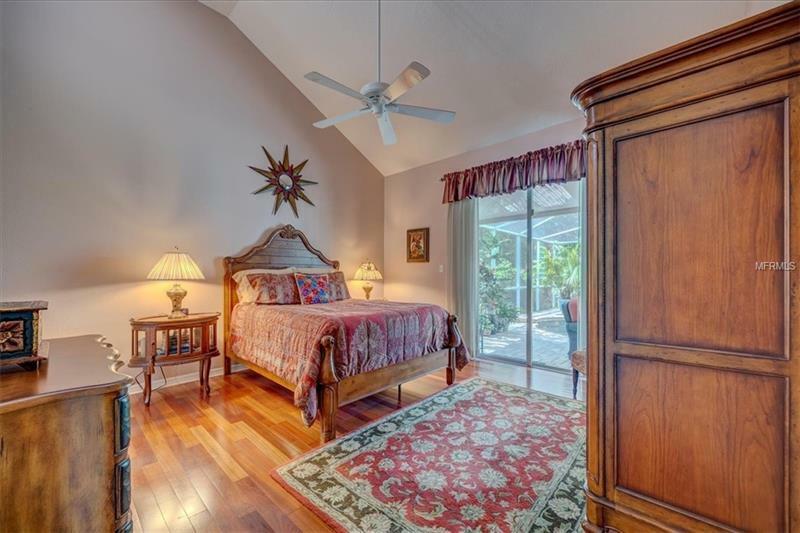 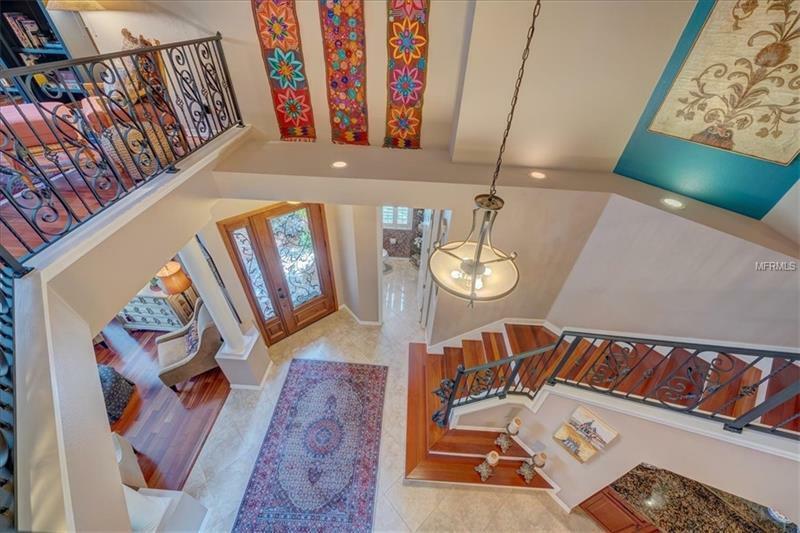 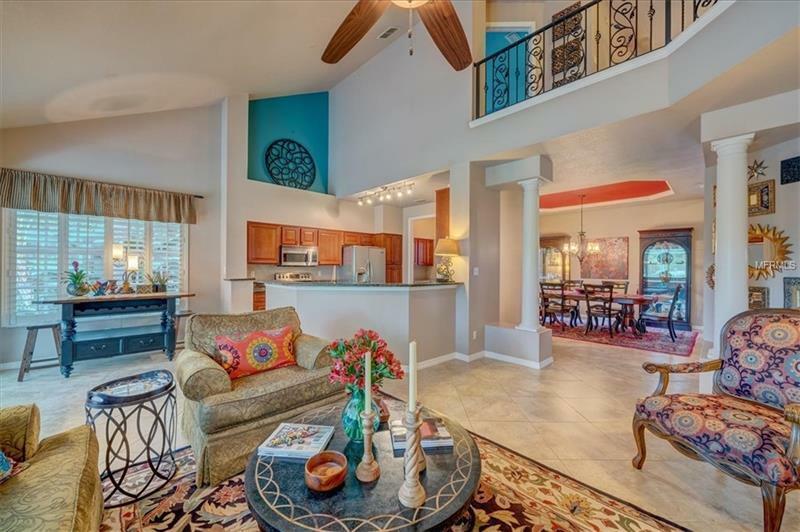 Downstairs Master bedroom has Brazilian Cherry floors, vaulted ceiling and accesses the patio. 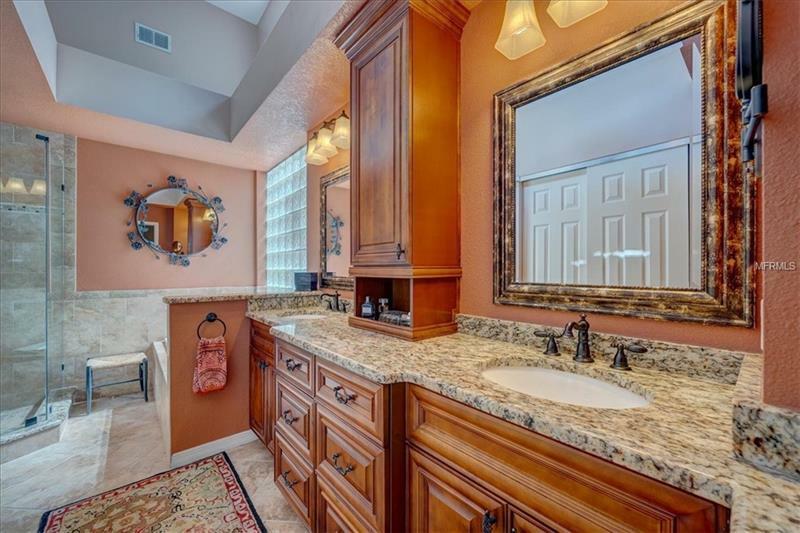 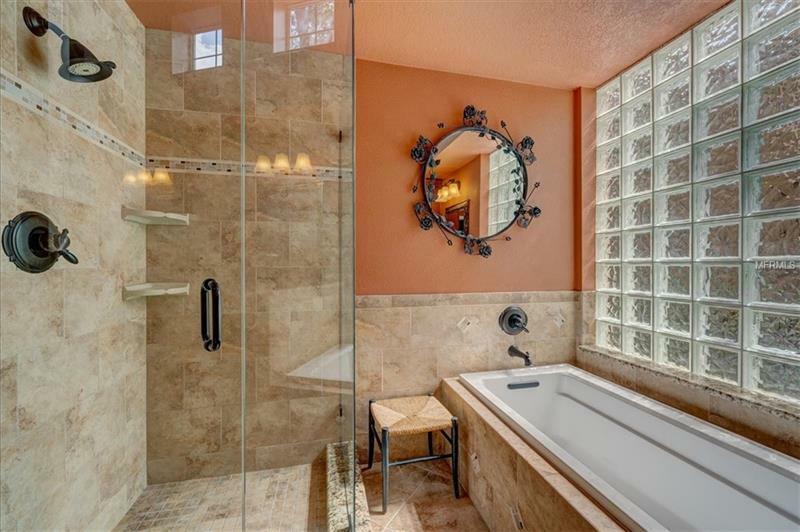 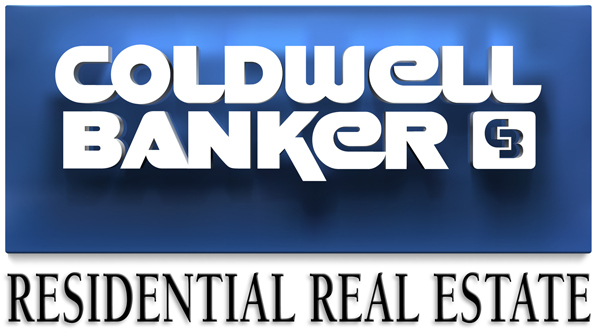 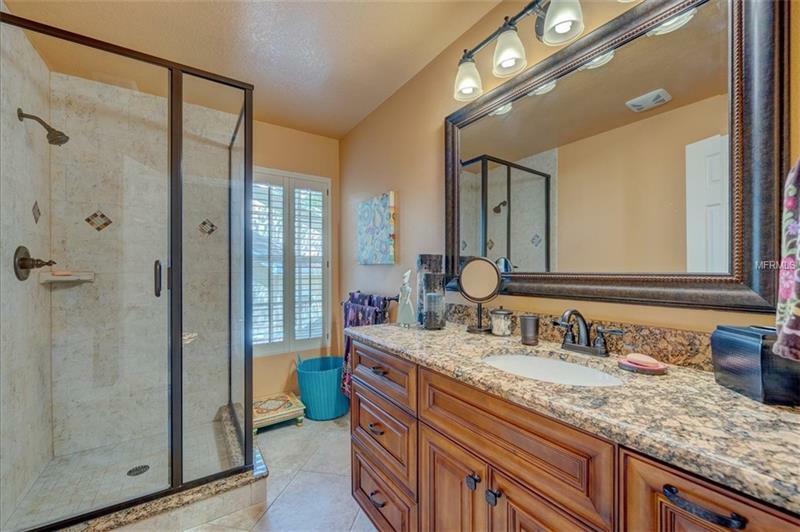 Master bath has custom cherry cabinetry, dual sinks with granite counters, oil rubbed bronze fixtures, garden tub, frameless walk in shower and large walk in closet. 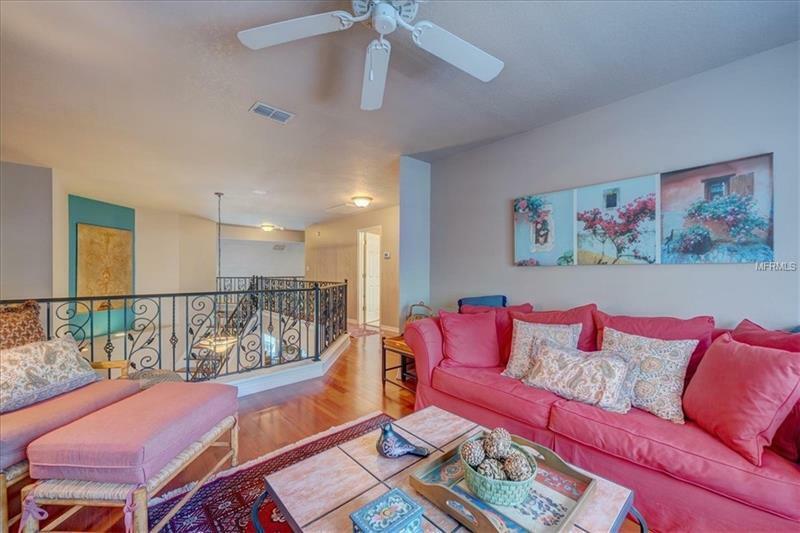 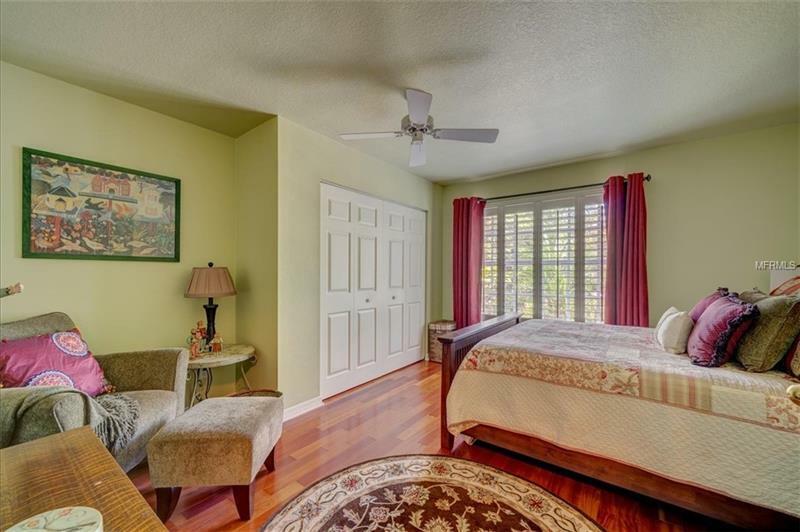 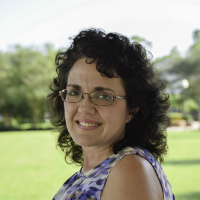 Upstairs has Brazilian Cherry floors throughout, 2 spacious guest bedrooms offer large closets and plantation shutters and share a guest bathroom with oversized vanity and walk in shower. 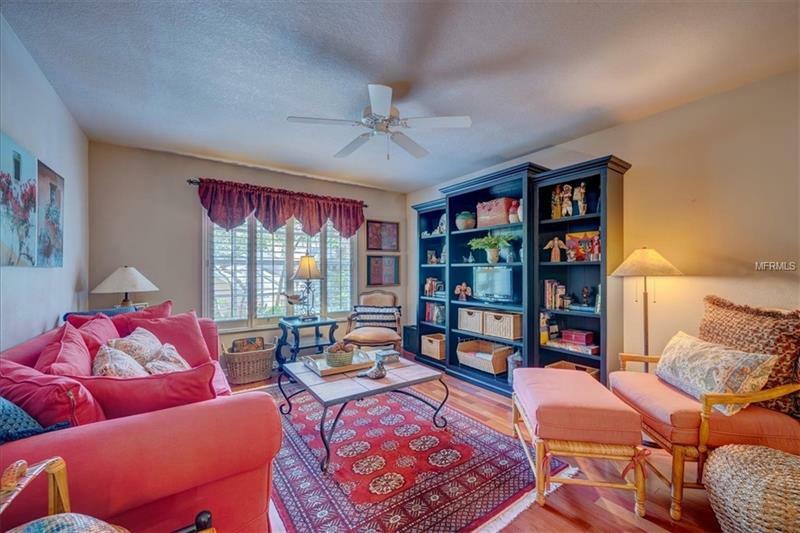 Bonus room/loft offers flex space. 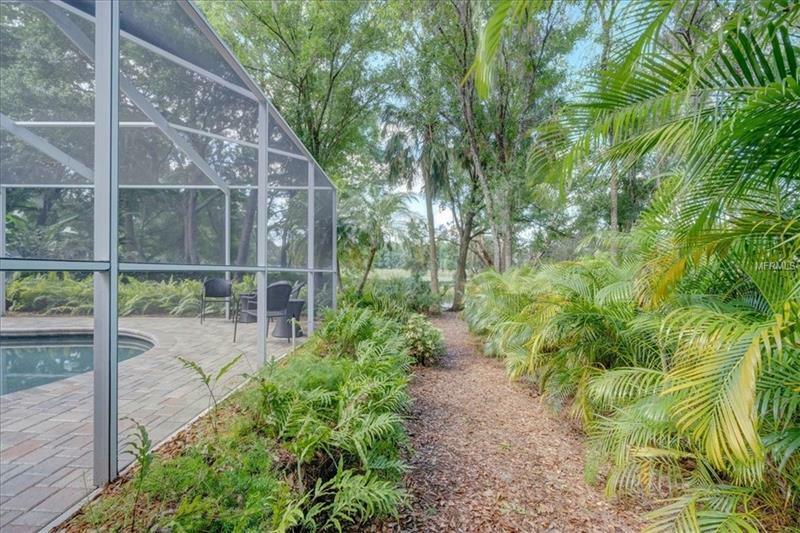 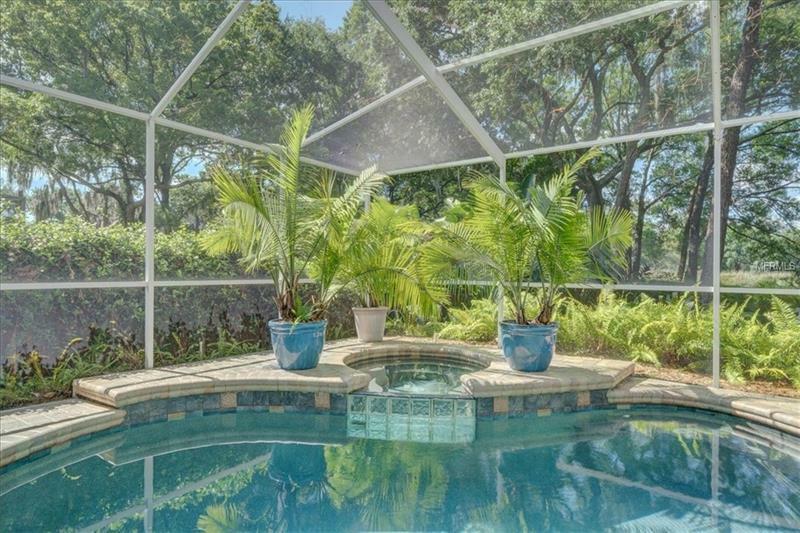 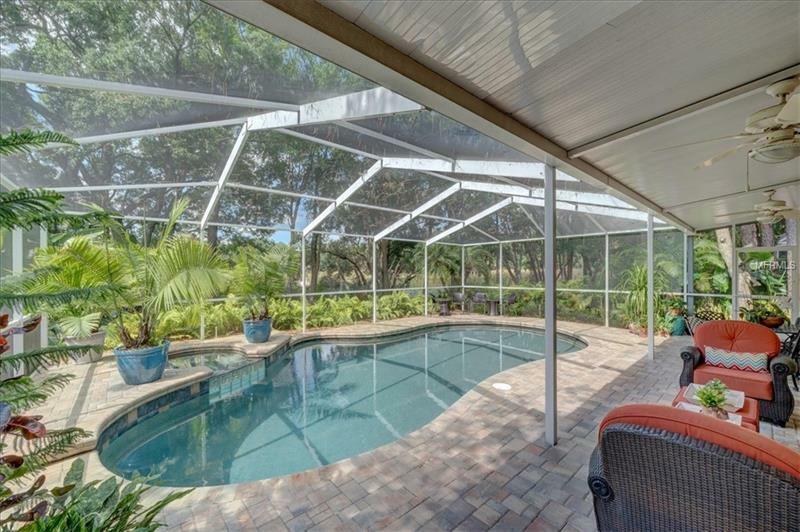 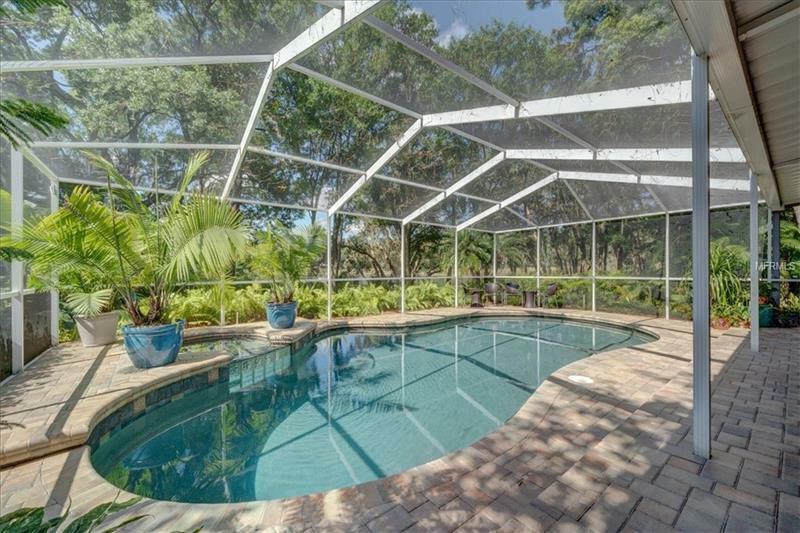 The backyard is a tropical oasis, and has brick paver patio, salt water/heated pool/spa with Pebble Tec surface, covered area, landscaped back yard and waterviews.